Since its initiation at Medetel in April 2013, ​the Women Observatory for eHealth organizes and is invited to international conferences and congresses, to present innovative eHealth projects, initiatives and multilingual web and mobile apps. Reaching 50 events in 16 countries, in English, French or Spanish by end 2018, the WeObservatory offers to the projects an international visibility and recognition, to empower women in eHealth, mHealth and Telemedicine. 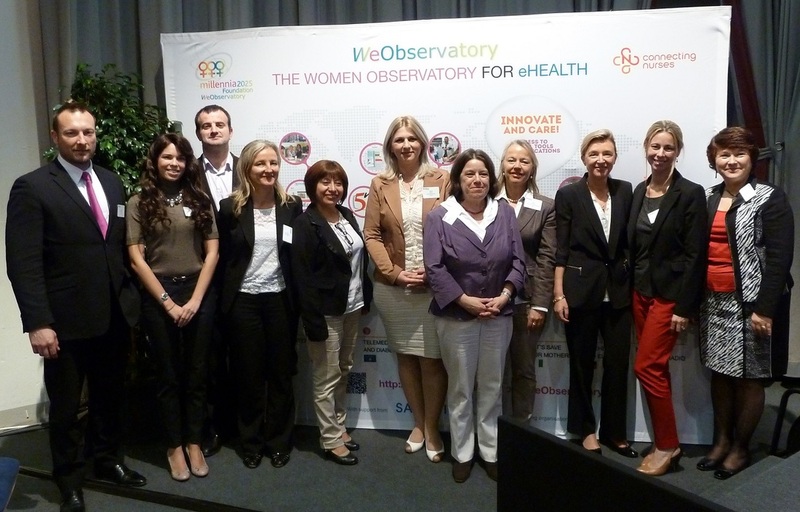 As member of the International Society for Telemedicine and eHealth (ISfTeH), and co-founder of the Working Group on Women (ISfTeH WoW), the WeObservatory has organized the Special sessions on Women and eHealth, at Medetel, Luxembourg, from 2013 to 2017. With more than 25 presentations of speakers coming from African, Latin America and European countries, the sessions were highly instructive on how women have access and use new technologies for their health. More information and photos are available the annual sections of the menu, in the Blog, and the interviews of women influencers. In April 2015 and 2017, the Journal of the International Society for Telemedicine and eHealth (JISfTeH) published two Special issues on Women in eHealth, prefaced by Dr Najeeb Al-Shorbaji, Director at the World Health Organisation in Geneva, Switzerland and Dr Regina Ungerer, director ePortuguese at WHO. Follow new events in the Blog, www.weobservatory.com and Twitter @weobservatory.